Back in the early days of our marriage, my husband and I mainly tried to get along and minimize arguments. Before we arrived at the altar, both of us were seasoned singles, set in our ways, so learning to walk together was a challenge. We set off a few fireworks that first year, even over our simplest decisions. Thankfully, we’ve mellowed with time and learned to give and take, stay on the same page, and stay in our lane when one does something the other is not so sure about. We’ve learned to cheer each other on and be best friends. Jose and I have been married over 23 years and lived in 3 countries. We want to continue growing, so we can experience the spiritual unity God intends. We still need more of God in our relationship. 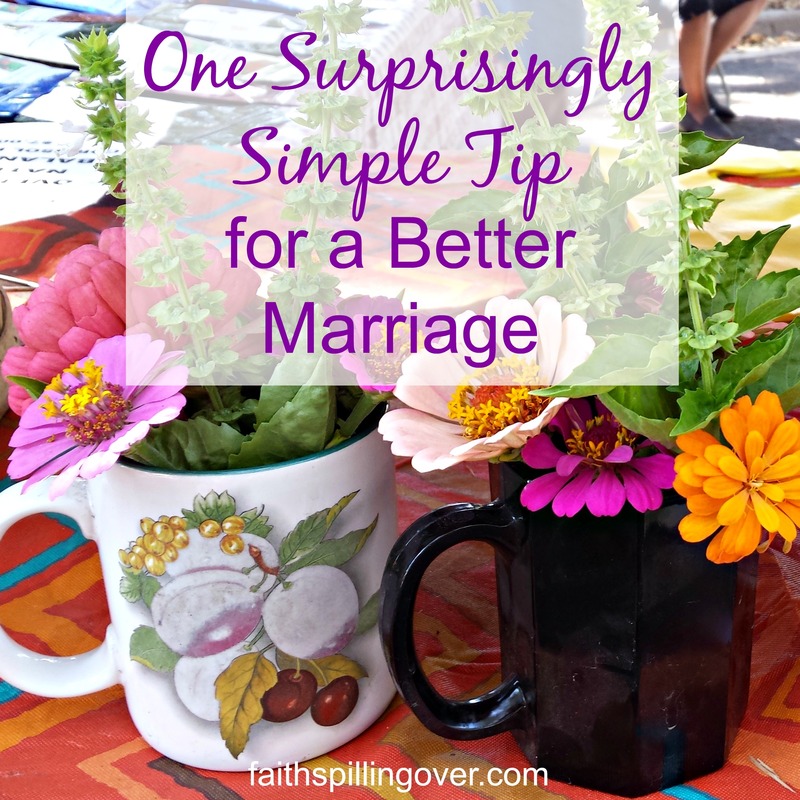 Unfortunately, I’d be the first to admit I often let prayer for my marriage slide. Yet, I know that if I want God in the middle of my marriage, I need to bring my marriage to Him. When I bring my marriage to God in prayer, He turns my heart toward my husband. When we bring our #marriage to God in #prayer, He turns our heart toward our spouse. 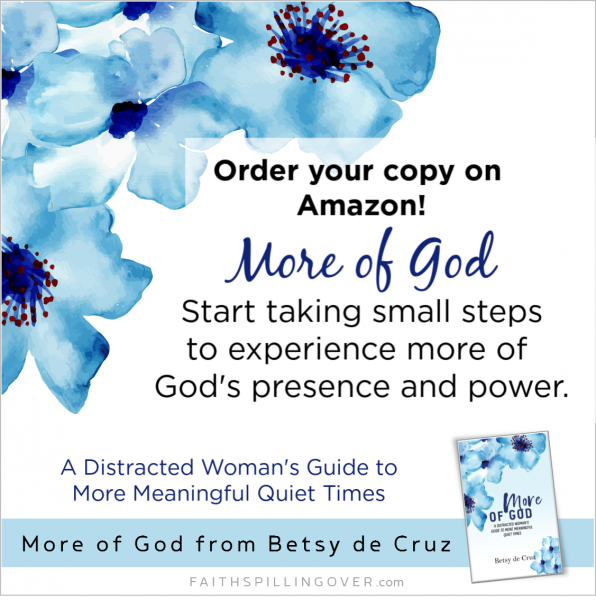 In the early days of our marriage, we didn’t always get around to praying as a couple because as busy parents, we already had a hard enough time carving out personal time with God. But a marriage retreat we attended 10 years ago challenged us to make it a priority, and we have seen so much fruit in our relationship and family. Some days we still let it slide, but we always come back to it. 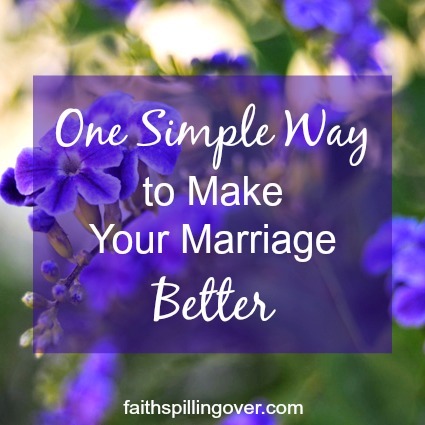 For us, prayer together as a couple impacts our marriage more positively than anything else. When I try to control every decision Jose and I make, I’m basically telling the Lord, “Let me handle this, I’ve got it!” But I’m learning to relax when Jose and I don’t quite see eye to eye. I can trust God to work in us and through us. Even if it means I’m yielding to go along with a decision I’m not 100% sure of. After all, can I really trust myself to always know best? 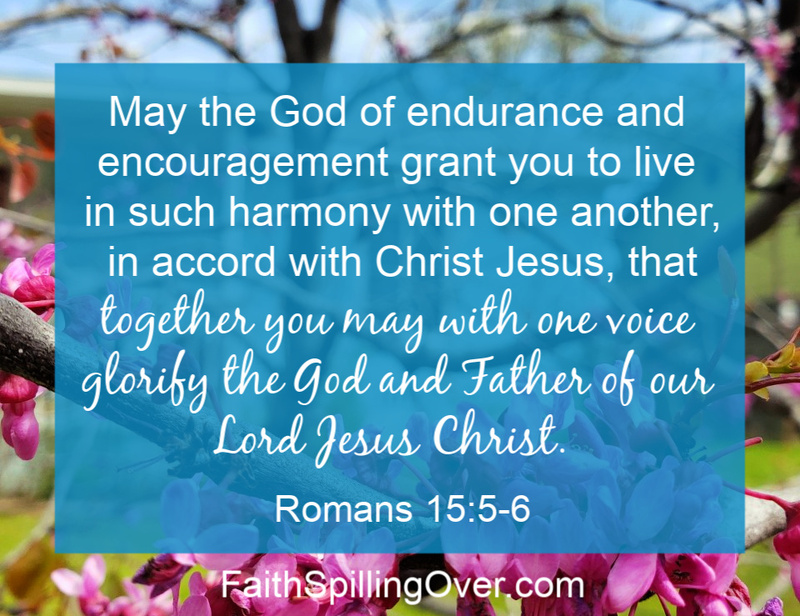 Whether we start off our morning thanking God for His goodness or pause briefly at the end of the day to recall His faithfulness, gratitude cements us together as a couple and encourages our faith during hard times. Friend, you may be reading this and thinking, “My spouse is not even a believer. 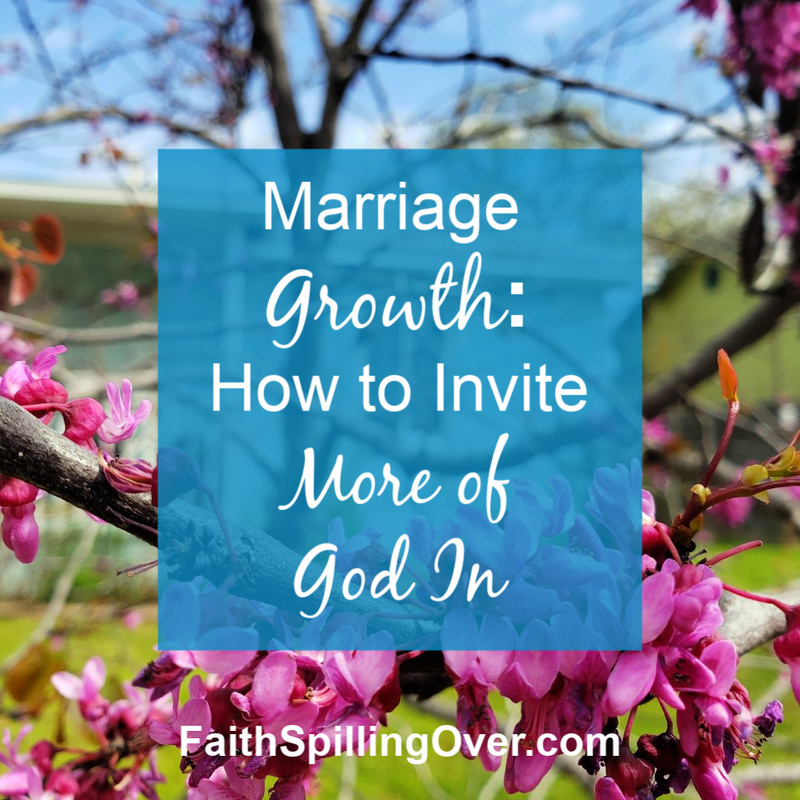 Where does this leave me?” The most important thing I believe you can do to invite more of God into your marriage is something you can do whether your spouse believes or not: stay as close to God yourself as you can. 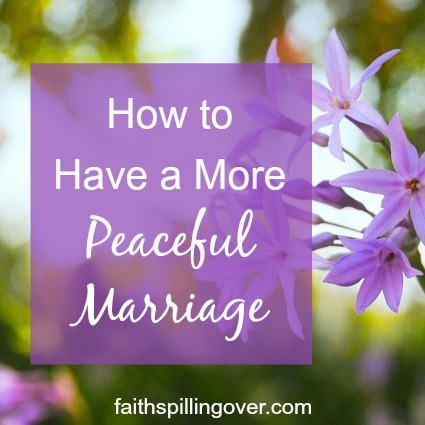 It’s the most important thing I can do for my marriage as well: draw near to God through prayer, Scripture reading, and putting His Word to work in my life. Am I doing it perfectly? No, but I see that as I seek to invite more of God into my own life, some issues in my marriage almost seem to solve themselves. Our relationship improves, and the atmosphere at home grows more peaceful. Those are sweet gifts I wouldn’t trade for anything. 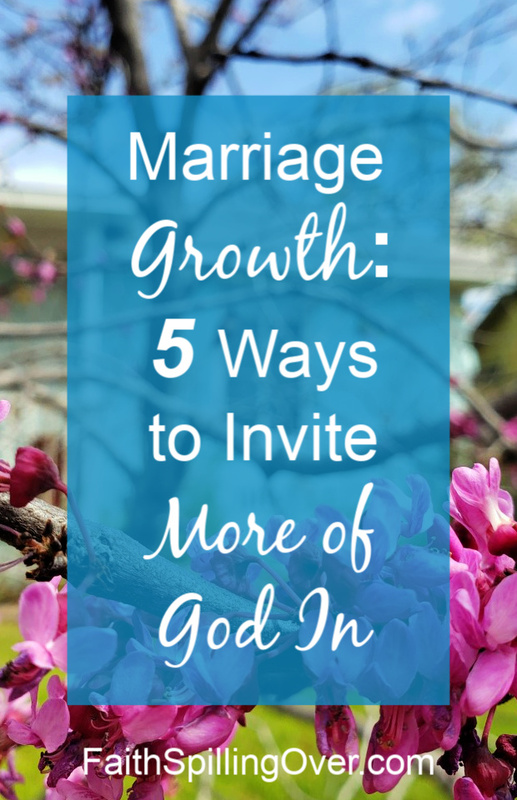 5 Ways to Improve Your #Marriage by Inviting God into Your Relationship. Now it’s your turn: what’s one thing that helps you invite more of God into your marriage or family? Note: This post contains an affiliate link. If you purchase, I earn a small commission towards the maintenance of this site at no extra cost to you. Follow this link to find me on Facebook for daily encouragement. Linking up with Kelly Balarie’s #RaRa Linkup, Mary Geisen’s #TellHisStory, Crystal Storms’ #HeartEncouragement, and Lyli Dunbar’s #FaithonFire. Check out these communities for more encouragement. A friend of mine says more couples divorce over the cap left off the toothpaste than for any other reason. Her statement is personal opinion, but it makes an important point. We tend to blow little irritations out of proportion! You may have read in the book of Proverbs about the quarrelsome, nagging wife who’s like a constant dripping on a rainy day. The Message translation brings this verse to life: “A nagging spouse is like the drip, drip, drip of a leaky faucet” (Proverbs 27:15, MSG). In fact, Solomon also says the poor Proverbs man would rather live in a desert than with her (21:19). Unfortunately, I have drippy faucet tendencies. Maybe you do, too. Our husbands bring home the wrong brand of detergent from the grocery store, and we let them know. Drip. We see the toilet seat left up, and we remind him one more time. Drip, drip, drip. All those little drips tear a man down. My husband Jose is faithful and responsible. He demonstrates love through serving and speaks calm into my chaos. To give you an idea of the kind of man he is, let me tell you about Bad Breakfast Wednesday. Jose usually makes breakfast, but Wednesdays are my turn. One Wednesday I was running late. I let the oatmeal boil over, dropped a raw egg on the floor, and turned into a ranting, hot mess. My husband quietly picked up a dish rag to help me. Then after breakfast, he helped with the dishes. Even though Wednesday wasn’t his turn. 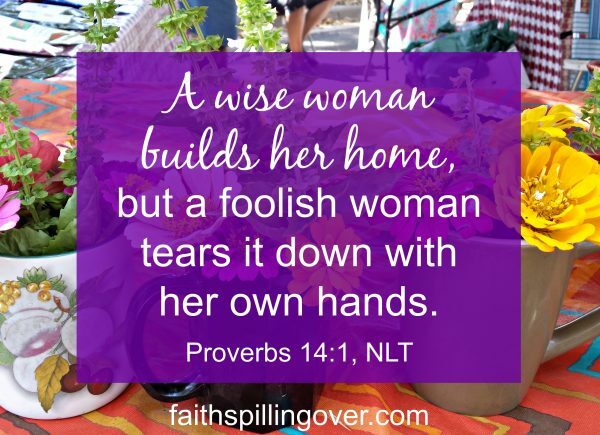 Instead of tearing my husband down, I’d rather seek to build him up. Is my husband perfect? No. He has bad days. He makes mistakes and forgets things. But when I’m busy noticing every little thing he does wrong, I miss the bigger picture of all the good things he does right. He wears an old t-shirt and jeans instead of the new clothes you bought him. He forgets to take out the trash. He doesn’t notice your new haircut. Let’s go on a treasure hunt for our husbands’ positive qualities. 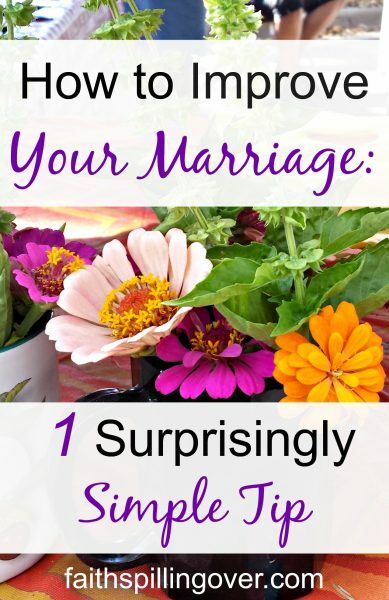 What were the positive qualities you loved when you married your husband? What do you like about him now? What evidence do you see of his faithfulness and service at work or home? What do you appreciate about him as a father? How about letting him know what you love and appreciate about him? Thank him for the things he does around the house. Write a note, send a text, cook a special meal, or tell him how much he means to you. It’s so simple, yet we all know that when your husband breaks your favorite coffee cup or forgets your date night, letting it go is hard. How about trying it for one week? Let’s keep our lips zipped when it comes to faultfinding, and express appreciation for positive things instead. Will you join me? Now it’s your turn: Do you have any drippy faucet tendencies? What do you appreciate about your husband? 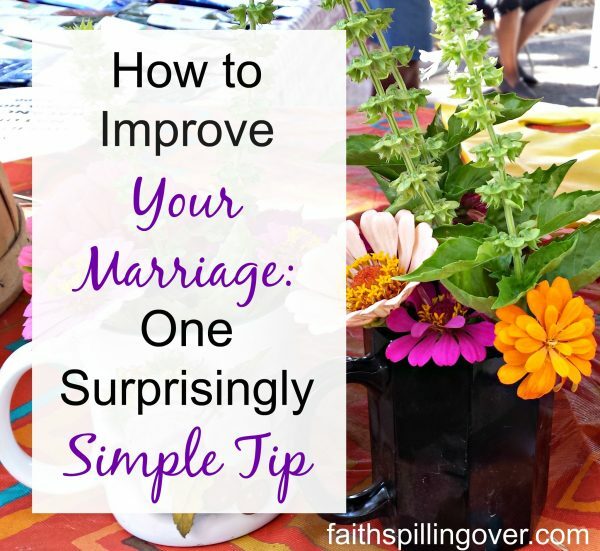 Do small irritations get blown up in your #marriage? One simple tip can help. Note: This is re-edited from my archives. This post contains Amazon affiliate links. Purchasing through my link helps me earn a small commission towards the maintenance of my site at no extra cost to you. 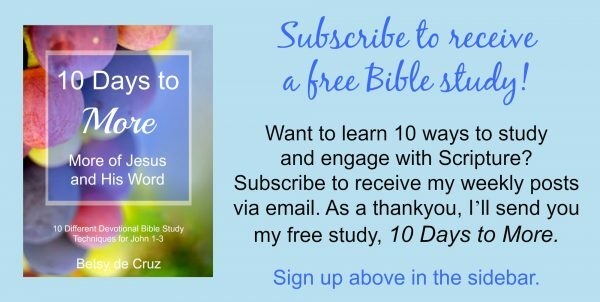 Linking up with Kelly Balarie’s #RaRa Linkup, Mary Geisen’s #TellHisStory, Holley Gerth’s Coffee for your Heart, Crystal Storms’ #HeartEncouragement, Lyli Dunbar’s #FaithonFire, and Arabah Joy’s Grace and Truth. Check out these communities for more encouragement. My husband and I recently celebrated twenty two years of a marriage that almost didn’t happen. After four years of a stormy, long-distance relationship, Jose’s proposal was anything but romantic. He had come to visit me, and after a weekend of arguing, we’d finally said goodbye since he had to catch his plane home. Sad because our time together was over and convinced our relationship had ended, I was at home sobbing. When the doorbell interrupted my tears, I almost didn’t answer it. You wouldn’t think two eggs and a skillet would make me fall in love with my husband all over again, but they did. It wasn’t a grand, romantic expression that won my heart, but a small, daily gesture of kindness. A friend says that more couples divorce over the cap left off the toothpaste than for any other reason. Her statement is personal opinion, but it makes an important point. We tend to blow little things out of proportion.